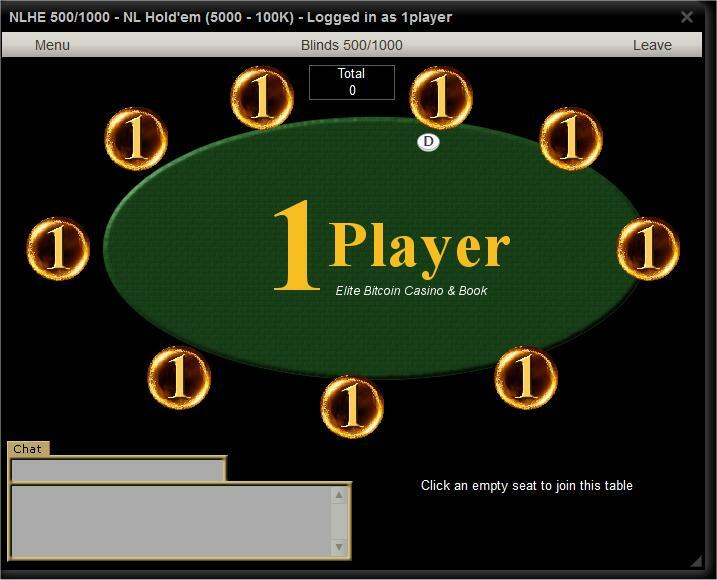 We have Private High Stakes Live Bitcoin Poker Rooms for our elite players. We have daily tournaments with Buy Ins from $100 to $1,000 and weekly games have $10,000 Buy Ins with Monthly Games having a $100,000 Buy In. Our yearly One Million Dollar Buy In Championship game is one of the top games in the world and has only 10 seats and is held on a 100 foot yacht in international waters. We have Poker Tables with $25,000/$50,000 Blinds. The highest stakes poker tables in the world are at 1 Player Casino. Our public poker rooms available to all members have tables with $1/$2 blinds so everyone can afford to play at the most exclusive Bitcoin Casino in the World. While most online poker rooms have minor betting action, we cater to the high stakes players of the world in our elite player private poker rooms where our casino hosts arrange for high stakes poker players to play anytime they want for as much as they want. Our super elite players are invited to play in real international deep water games on 100 plus foot yachts where gorgeous models staff our deep water tournaments and cater to every need or the super elite player.